Home » WOD Blog » Is your jar full? Use the same weight for both movements. 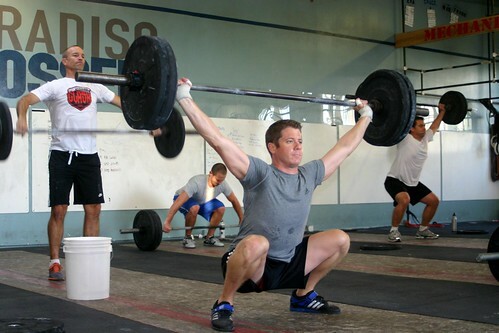 Advanced athletes use 80% of your 1 RM Front Squat. This time of year always reminds me of the “Mayonnaise Jar Story”. So many of us will get busy over the coming weeks with family, travel, kids, etc that we find ourselves de-prioritizing ourselves. With the impending New Year, it gets easier and easier to let things go because there’s nothing like a New Year’s Resolution to get you back on track, right?! Remember what matters. And now a story………..